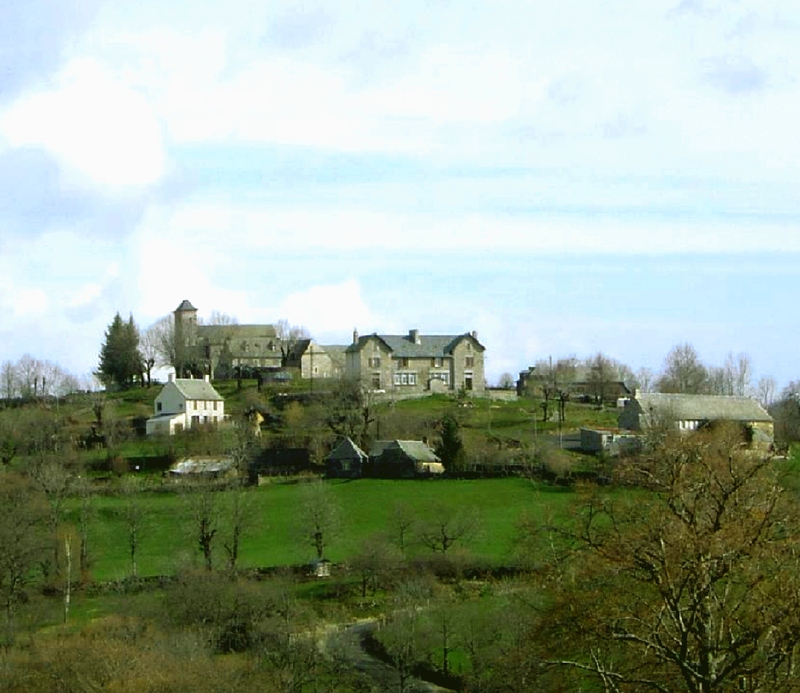 This fief of the Count of Rodez passed firstly to the Baron of Thénières around 1470, then in 1620 to Estaing where it stayed until the time of the Revolution. 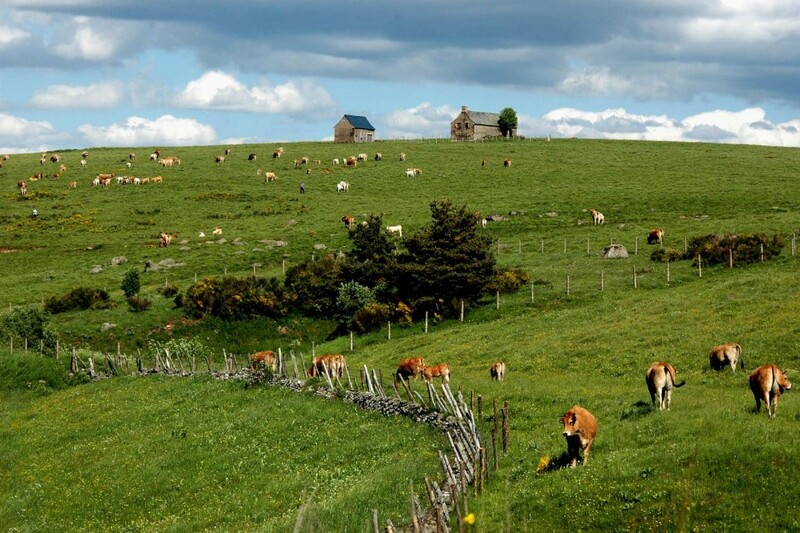 This village stands at an altitude of 1 000m offering a beautiful panorama of the mountains of Cantal. 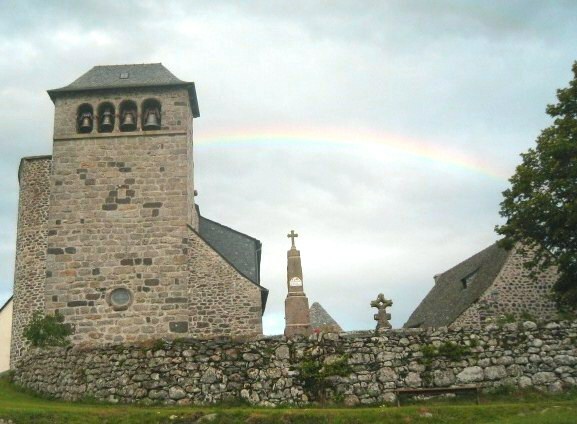 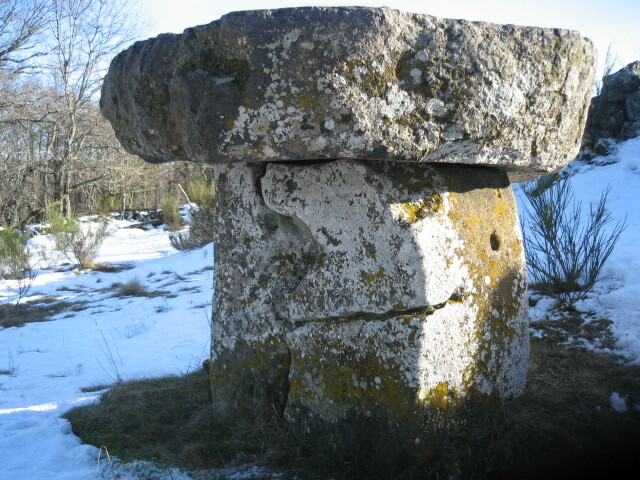 You will find a 15th century church constructed on a basalt flow. The interior contains painted murals (1875) and a bronze font (1884). 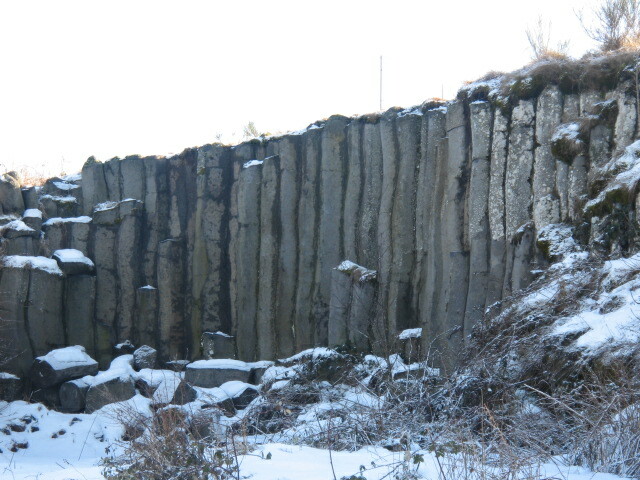 At Falachoux: the basalt columns (pictured) and a slab of basalt placed on a section from a column. 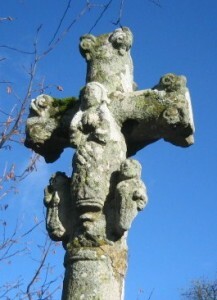 At Cayrac: the rural chapel reconstructed in 1839 and its beautiful stone cross.